You'll need a Cat5 ethernet cable or similar. Plug one end to the BayanDSL router, in one of the LAN ports, then the other end to your PC. I suggest keeping this page open, or printing it out, because we'll be losing internet access during the process. On your PC, set it to a static IP address. You'll start at the status page. I suggest taking screenshots of every page, for reference, before changing any settings. Note the WAN section on the status page, especially the connection type. I'll need to know that later when I configure the other WiFi Router. 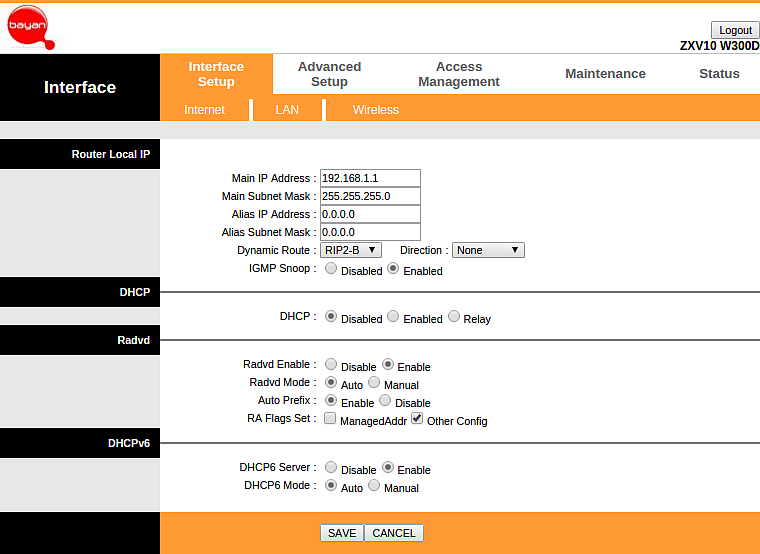 In my case it's set to DHCP. In some cases, I've seen it set to pppoe, which requires knowing the username/password for the BayanDSL account. Another thing to note on this page is the Virtual Circuit, make a note of it. Whatever it's set at, we won't be using it, we'll keep it so we can revert our changes easily. Instead, we will be using another PVC number. Click on "Interface Setup". 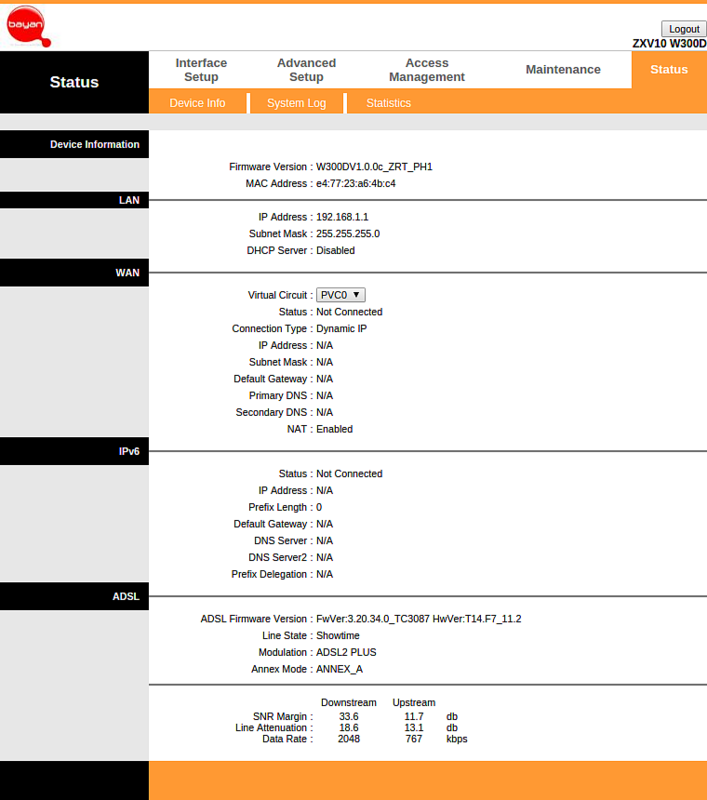 Click on "PVC Summary". This will list all of the configured Virtual Circuits. One of them is marked as Active, note which one it is for future reference. In my screenshot, I've already configured PVC1. Pick one of the empty slots on your list, I'll use PVC1 as an example. Close the summary window. Select the PVC that is currently active, in my case PVC0. You'll see the current settings it has, better take a screenshot of this page. Set its status to "Deactivated". Select PVC1 (or one of the empty ones on your list). Set its status to "Activated", then below that, select Bridge Mode. Save the settings. 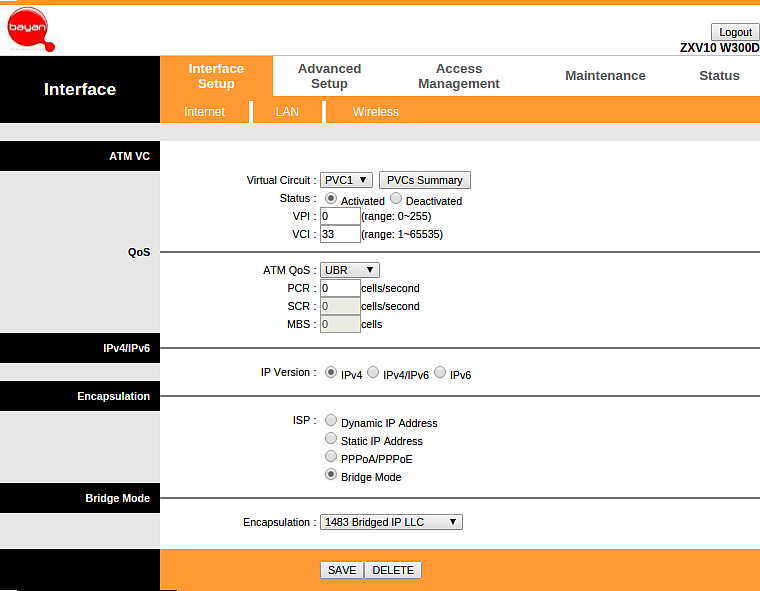 Go to "LAN", under "Interface Setup". We will need to turn off the DHCP service on the BayanDSL router, since our other router will handle IP address assignments later. Set it to "Disabled", then click Save. Go to "Wireless", under "Interface Setup". Select "Deactivated" beside "Access Point", click Save if needed. At this point you can logout, disconnect the ethernet cables, then start configuring your other WiFi router. 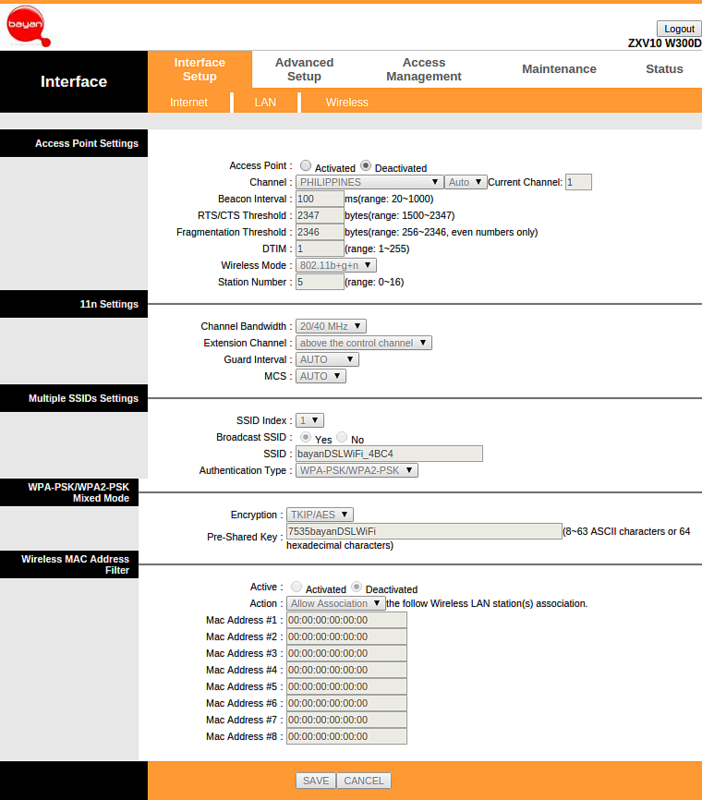 You'll need to copy the WAN settings on that router, that screenshot from Step 6 will come in handy.